Happy New Year, Friends. It’s Your Enneagram Coach Beth here. I hope your 2019 is off to a great start! January is already almost over, so I’m guessing most people’s New Year’s resolutions have already fallen by the wayside. The gyms are thinning back out, the budget tracker has been abandoned, and the diets have gone off the rails. The truth is, by Valentines Day, most people can’t even remember the goals they set or promises they made at the stroke of midnight on January 1! I have great news! We can find the answer to these questions when we explore the Enneagram. This powerful tool outlines nine basic Personality Types who feel, think and act in particular ways based on four Core Motivations: Fear, Desire, Weakness and Longing. When we truly understand our Type and what makes us tick, we can use the Enneagram as an internal GPS to keep ourselves on a path of health and wholeness in life, work and relationships. 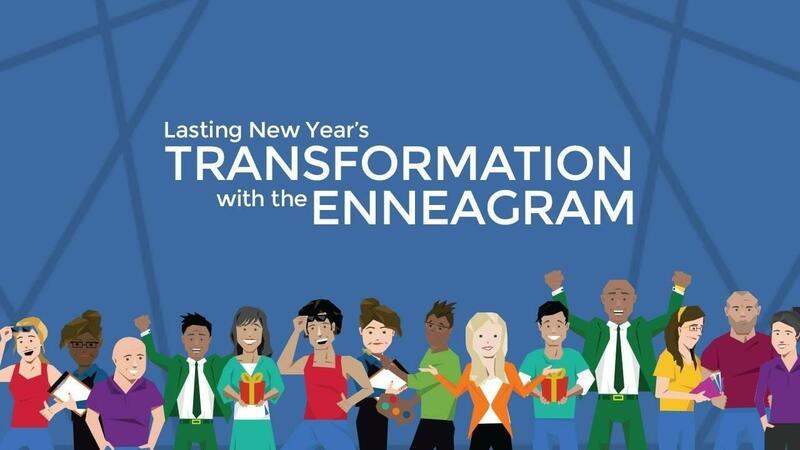 Though the Enneagram is such a powerful tool in recognizing self-limiting behaviors and accelerating growth, it will only bring lasting transformation when we view it through the lens of the Gospel. We must first recognize that only through Christ and His life, death and resurrection, can we create and sustain meaningful and healthy relationships with God, others and ourselves. If we try to do anything in our own strength, from losing weight to repairing relationships to finding career success and satisfaction, we will always come up short. Do you know your Enneagram Type? If not, I invite you take my free assessment to identify your personality and it’s positive and negative tendencies. To confirm your results, take a close and honest look at these Core Motivations. Core Fear, the thing your Type is always trying to avoid, run away from or prevent from happening in everyday situations and interactions. Our tendencies to think, feel and behave in certain ways are rooted in protecting ourselves from our Core Fear. Core Desire, what your Type is constantly striving for, believing it will bring complete fulfillment. The way we each think, feel and behave are rooted in satisfying our Core Desire, and we become hurt, sad, frustrated, or angry when we can't obtain it. Core Weakness, the issue that each Type struggles with in everyday situations and interactions with others. We all have something that we are always wrestling with, an Achilles' heel that remains with us for all our days on Earth. Core Longing, the central message each of our hearts is longing to hear. Listed below are the Core Motivations of each Type. Which ones resonate most with you? Type 1: The Moral Perfectionist is principled, purposeful, self-controlled and perfectionistic. Core Weakness: Resentment—repressing anger that leads to continual frustration and dissatisfaction with yourself, others, and the world for not being perfect. Type 2: The Supportive Advisor is generous, demonstrative, people pleasing and possessive. Core Fear: Being rejected and unwanted, being thought worthless, needy, inconsequential, dispensable, or unworthy of love. Core Desire: Being appreciated, loved, and wanted. Core Weakness: Pride —denying your own needs and emotions while using your amazing intuition to discover and focus on the emotions and needs of others, confidently inserting your helpful support in hopes that others will say how grateful they are for your thoughtful care. Type 3: The Successful Achiever is adaptable, excelling, driven and image-conscious. Core Weakness: Deceit —deceiving yourself into believing that you are only the image you present to others; embellishing the truth by putting on a polished persona for everyone (including yourself) to see and admire. Core Longing: “You are loved for simply being you." Type 4: The Romantic Individualist is expressive, dramatic, self-absorbed and temperamental. Core Weakness: Envy—feeling that you’re tragically flawed, something foundational is missing inside you, and others possess qualities you lack. Type 5: The Investigative Thinker is perceptive, innovative, secretive and isolated. Core Weakness: Avarice—feeling that you lack inner resources and that too much interaction with others will lead to catastrophic depletion; withholding yourself from contact with the world; holding onto your resources and minimizing your needs. Type 6: The Loyal Guardian is engaging, responsible, anxious and suspicious. Core Weakness: Anxiety—scanning the horizon of life and trying to predict and prevent negative outcomes (especially worst-case scenarios); remaining in a constant state of apprehension and worry. Type 7: The Entertaining Optimist is spontaneous, versatile, acquisitive and scattered. Core Weakness: Gluttony—feeling a great emptiness inside and having an insatiable desire to “fill yourself up” with experiences and stimulation in hopes of feeling completely satisfied and content. Type 8: The Protective Challenger is self-confident, decisive, willful and confrontational. Core Weakness: Lust/Excess—constantly desiring intensity, control, and power; pushing yourself willfully on life and people in order to get what you desire. Type 9: The Peaceful Mediator is receptive, reassuring, complacent and resigned. Core Fear: Being in conflict, tension, or discord; feeling shut out and overlooked; losing connection with others. Core Desire: Having inner stability and peace of mind. Core Weakness: Sloth—remaining in an unrealistic and idealistic world in order to keep the peace, remain easy-going, and not be disturbed by your anger; falling asleep to your passions, abilities, desires, needs, and worth by merging with others. As a Coach, I could guide you in the Enneagram and show you ways to move forward with knowledge and growth all day long. But the only reason any of these tools and truths work is because of Jesus and his grace, and ultimately because of what he did for us on the cross. It’s simply not enough to know our personalities and why we do the things we do without heart transformation. We can make resolution after resolution, but real change only comes through the perfect, completed work of Christ. In short, we have to know not only who we are, but also Whose we are in order to experience true growth and freedom. As you identify your personality's Core Fear, I challenge you to be honest with yourself about how the thing you're always trying to avoid motivates your thoughts, feelings and behaviors in your daily life. Though it can be hard to look at what our personality is constantly running away from or prevent from happening, don’t let this bring you to shame, but rather freedom in Christ. May this knowledge help you find rest in Jesus, the one who intricately designed you and calms every fear. As you look at your Core Desire, ask yourself how you’re trying to get your fulfillment, and what is the cost to your heart, your career, and your relationship with God and others? As you "catch yourself" in pursuit of your Core Desire, may you learn to redirect yourself toward Christ, the only One who truly satisfies. As you recognize your Core Weakness, look at how it’s popping up and wreaking havoc in your thoughts, actions and interactions with others. Use the insight to draw closer to Christ, the One whose power is made perfect in weakness. Though this struggle will continually pop up throughout your life, you can find rest in your true identity in Christ, and it will have less impact on your behaviors and relationships. Christ is always strong, and when you surrender to Him, he transforms your heart to be more like his, and your Core Weakness has less of a grip on you. As you reflect on your heart's Core Longing, ask yourself what or who are you turning to in order to satisfy the cries of your heart. How is this keeping you from healthy growth and whole relationships? May you grow to see your Core Longing not as a burden, but rather as a very specific way in which Christ is drawing you to Him. When we look to others or the things of this world to fulfill the cravings of our hearts, we always come up short. But when we put our hope and full dependence on Christ, He fills our cups to overflowing, and we can truly rest. This is the gift of the Gospel! Are you ready to stop making empty resolutions and close the gap between where you are today and where you want to be? 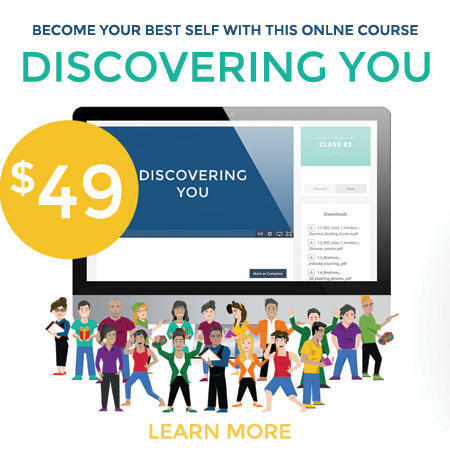 I’d love to guide you on your Gospel-centered Enneagram journey! 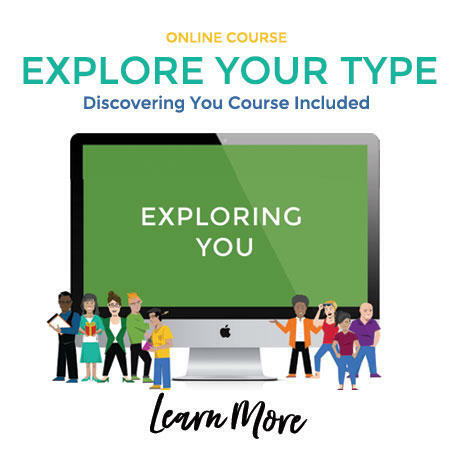 I offer multiple online courses, events and private coaching to help you explore the depths of your Type and become your best self. You’ll then feel empowered to grow and move forward in the days ahead as the spouse, friend, leader and Christ follower you long to be.